Super Easy DIY Crochet Mini Jute Baskets - Free Pattern! 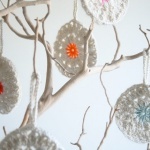 Home » Patterns » Super Easy DIY Crochet Mini Jute Baskets – Free Pattern! Super Easy DIY Crochet Mini Jute Baskets – Free Pattern! Here are some super cute little baskets that are fast, fun and simple! These baskets are so versatile. They’re great for holding a variety of little items around your home or office. They’re also fabulous gifts, too. Had you gone to your favorite housewares or specialty store or site, you would pay so much more. These baskets are constructed with jute twine and they work up quickly. This fabulous and free pattern is free! It’s by designer Cheryl of Crochet 365 Knit Too. Not only that but you’ll also find a link to another free pattern for a larger size jute basket. You can quickly fill your home with these wonderful baskets!